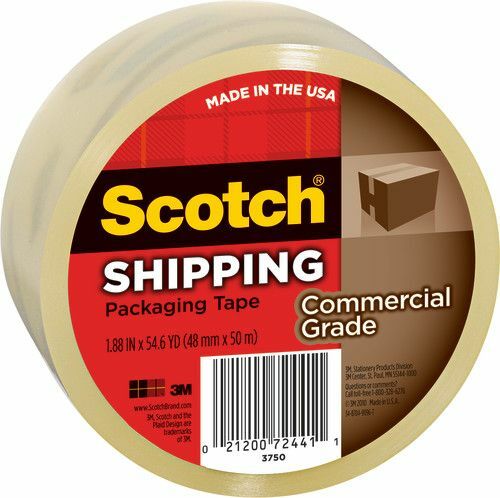 Scotch Commercial Grade Shipping Packing Tape is strong tape for boxes that is great for shipping, moving and protecting envelopes. 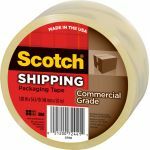 This reinforced packing tape works well when you are shipping or protecting items by reinforcing the corners of cardboard boxes. 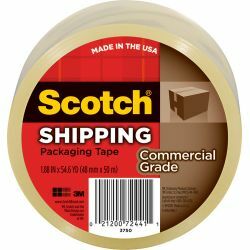 Scotch Tape is a clear, tough packing tape that is strong enough for commercial grade. 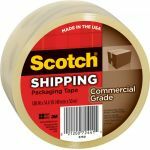 This heavy duty tape has a tensile strength of 30 lbs. per inch, with a 3.1 mil thickness. It can handle cold weather, with a wide superior temperature range for performance from 40 degrees to 120 degrees. 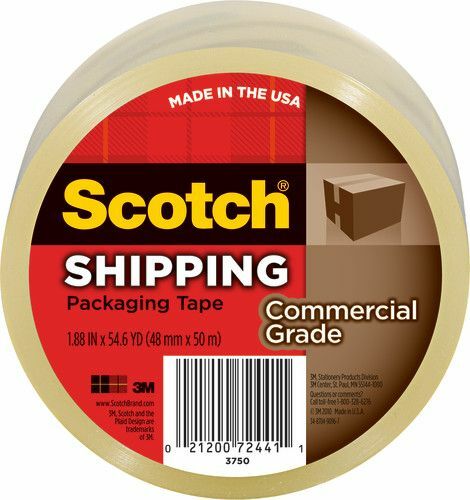 It seals seams with one strip and keeps boxes closed, creating a reinforced packing tape edge. It also resists slivering, splitting and tearing. 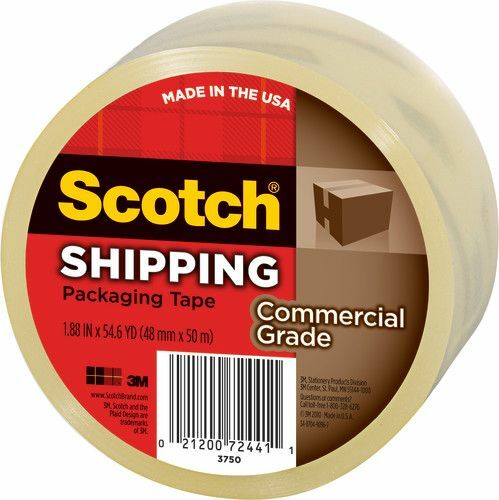 This packing tape is made in the U.S.A. with globally sourced materials and meets U.S. Postal regulations for standard packages.